Innovative and expansive, MVP Athletic Club blends fitness and fun to create the perfect backdrop to your health and wellness journey. 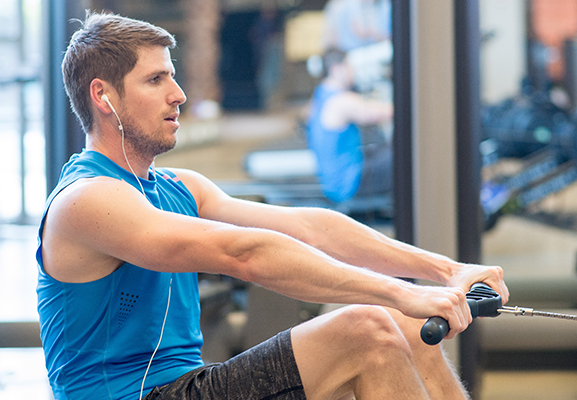 With unlimited group fitness classes, indoor and outdoor aquatics, tennis courts, industry-leading equipment and technology, top-notch personal trainers and instructors, you are sure to feel inspired and energized to accomplish more than you dared to dream. Train like a pro on our 40-yard functional and sports performance turf area. Space includes turf, strength training equipment and sprint track. Enjoy locker rooms for men, women and families. Locker rooms includes free daily lockers with private rental and laundry options available. Complimentary towel service is provided. Make a splash in our indoor aquatic center features a 25-yard lap pool, sauna and whirlpool. Whether you’re an experienced swimmer or just getting started, we have the program for you. From indoor basketball and racquetball courts to five (5) indoor tennis courts, we have everything you need to get active and have fun! Summer fun starts here! Our AWESOME outdoor aquatic center features a twisty slide, kid’s activity pool, lap lanes, play field, putting green, 1/2 court basketball, playground, concessions and family picnic area.